The account states that Our Lady appeared to Richeldis three times, confirming her request on every visit, so ardently did she desire to see a little Nazareth in this land. When the workmen unexpectedly found the building completed, there stood by its side a spring of life-giving water which gushed forth with healing properties. Pilgrims came both to pray in the Holy House and to drink the holy water from the well, thus finding the spiritual refreshment they deeply sought. 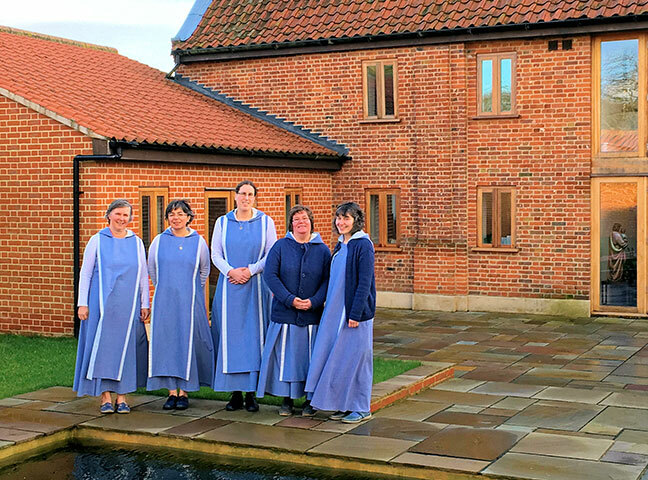 From its very beginnings in 1061 AD, Walsingham has been a place of help and healing to many, with innumerable testimonies of miracles, cures and answers to prayers. 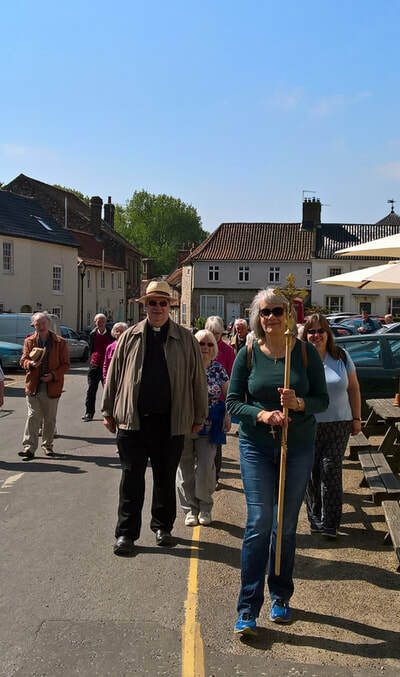 The Parish pilgrimage to Walsingham was a great opportunity to take time out from our busy lives to spend some time with God. We stayed at the Dowry House Retreat Centre run by the new Community of Our Lady of Walsingham. One of the highlights of our stay was joining the sisters in their daily Morning and Evening prayers in their beautiful chapel. On the first day we prayed at the Catholic Shrine of Our Lady of Walsingham in the morning and in the afternoon we visited the site of the old Priory that was destroyed in the Reformation. Only a solitary archway remains to show how large and majestic the priory once was. There was a fascinating timeline in the crypt showing the history of Walsingham from the 11th century until today. 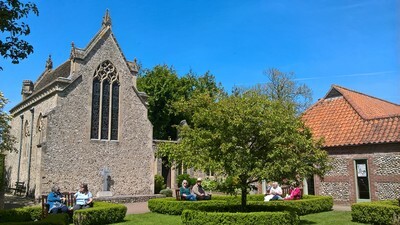 It listed the many monarchs who had visited the original shrine before it was destroyed and the importance of this small Norfolk village in the history of this country. On the second day we visited Sandringham House and had a wonderful afternoon walking around the royal residence, seeing the family photos and the rooms that the queen and her family live in at Christmas. 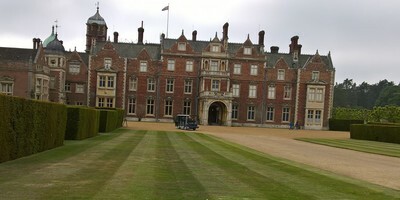 There was a fascinating museum and a visit to the church on the estate. On our last full day some of us took part in the small Rosary procession from the village to the shrine. 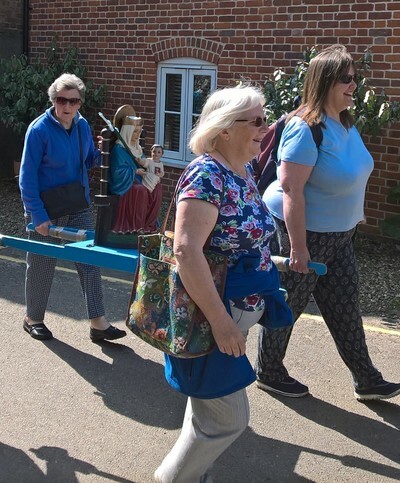 Maureen carried the cross at the head of the procession and June and Clare helped to carry the statue of Our Lady. It was an opportunity to follow in the footsteps of so many pilgrims before us. At the shrine we all joined in the Mass at the Basilica of Our Lady of Walsingham. 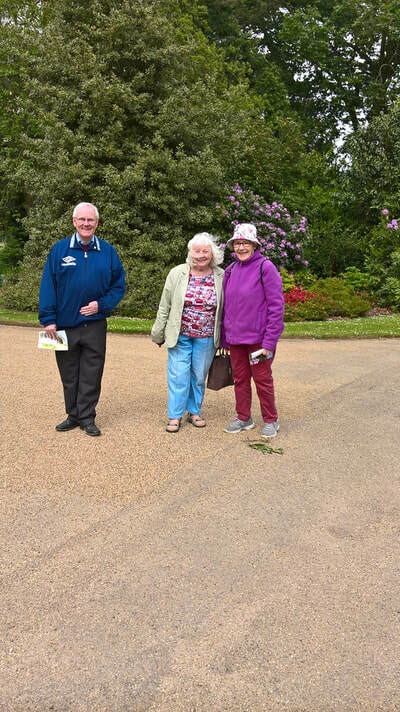 We returned from our pilgrimage refreshed and with renewed faith and devotion to our Blessed Mother who will lead us towards her Beloved Son, Jesus. 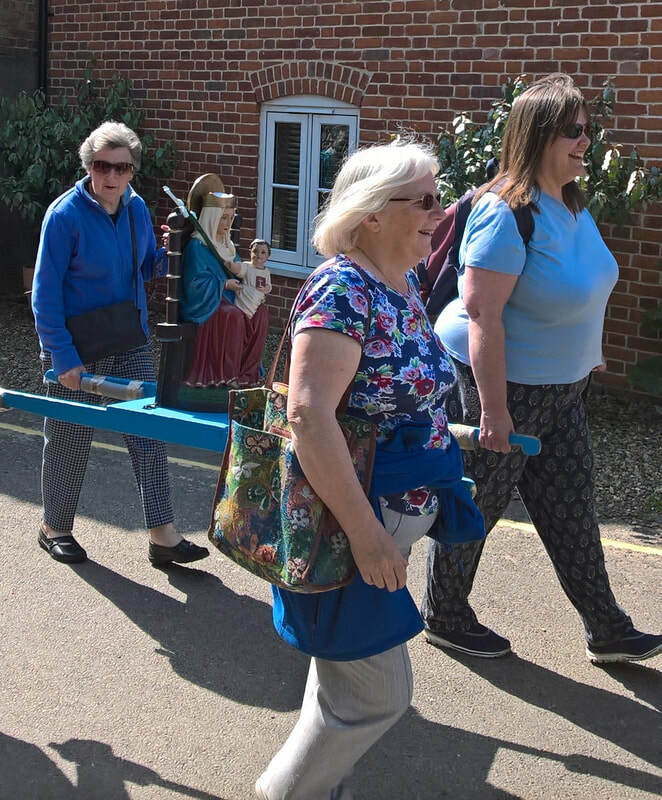 ​Our Lady of Walsingham pray for us.